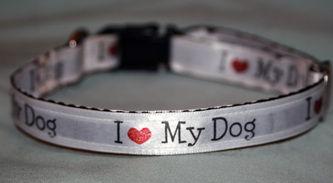 PICTURED ARE SOME OF MY COLLARS. 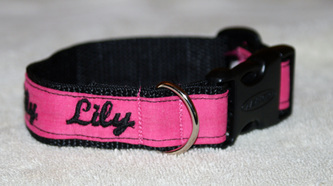 I CAN PERSONALIZE WITH WITH YOUR DOG'S NAME, PHONE NUMBER, ETC. 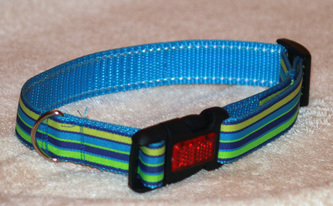 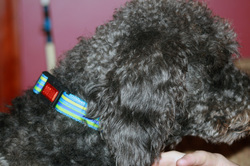 COLLARS ARE MADE WITH DURABLE NYLON WEBBING (1/2" 3/4" OR 1"). COLLARS ARE ADJUSTABLE. 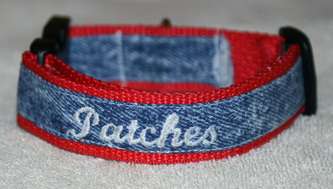 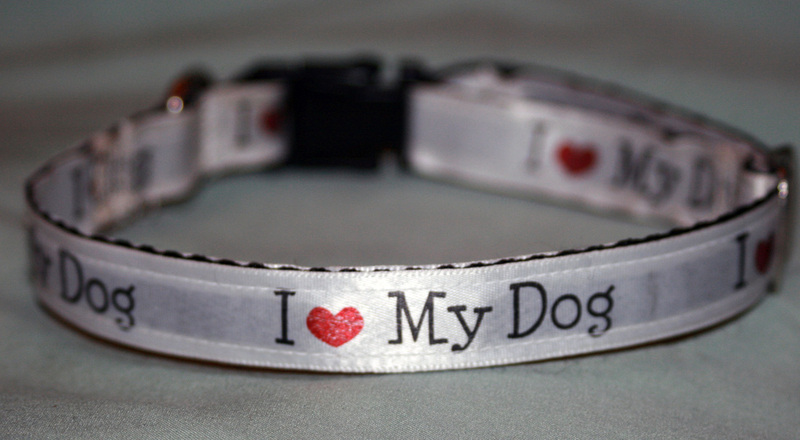 EMBROIDERED COLLARS REQUIRE A $5.00 NON-REFUNDABLE DEPOSIT.